Shares of Berkshire Hathaway (BERK.A) were down by 12% in 2015 compared to the 0.7% fall in S&P’s 500 indexes and were at its worst since 2009. It incurred a $38 million loss on its insurance underwriting businesses resulting in a 10% fall in its operating earnings for the second quarter of 2015. The first three- quarters of 2015 were difficult for the insurance businesses because of exorbitant claims costs. That caused the Class A shares to shed about 5% this year and brought it well below both the 2015 forecasts and the 2014 price. Berkshire Hathaway’s four core holdings comprise of Wells Fargo, American Express, Coca-Cola, and IBM. All of them performed poorly during the year and lost over $5 billion. Cheaper and more efficient products from rivals have shaken IBM’s once dominant position. Coca-Cola derives 70% of its revenues from sugary carbonated drinks that are now being shunned by an ever-increasingly health-conscious consumer. 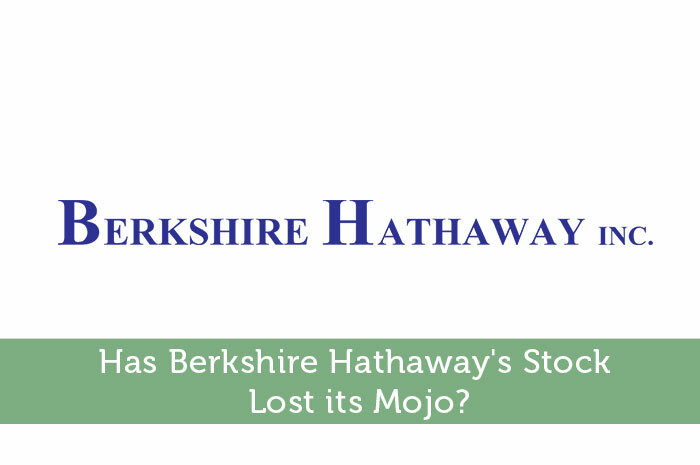 Berkshire’s other equity securities lost another $1.6 billion, and the portfolio of preferred stock lost $1.8B. Besides, Mr. Buffett finds it challenging to expand book value, as the company is much larger now. In the third quarter of 2015, Warren Buffett trimmed the Wal-Mart Stores Inc. and recently announced news that the days of outrunning the market by 15%-20% are over. He also recommends that shareholders assess him on a moving five-year basis as the company had managed to surpass the S&P 43 times over such a stretch. However, that streak ended when it recorded a slip in the five-year stage to the end of 2015 with a return of 61.4% vs. 71.4% for the S&P 500 Growth Index. But this observed underperformance spells opportunity as Buffett considers the shares a screaming buy at 1.33 times book value; a rough metric of what each share is worth. Berkshire stock is priced way lower than its inherent value. In 2001, Warren Buffett had vowed that the company would not repurchase shares unless they are selling well below intrinsic value. The share repurchase program announcement made ten years later confirmed that principle. Buffett believed that the stock was worth more than the book value and in 2013 the company announced it was increasing the maximum price on its share repurchase to a 20% premium over the book value. But the growth in book value has begun to slow. Part of the reason is that even if Berkshire’s businesses are worth more over time, they don’t get marked up in value on the company’s books. Mr. Eugene Fama, who in 2013 won the Nobel Peace Price in Economics, advances the Efficient Market Hypothesis – EMH – to explain why the company’s legendary run could be coming to an end. Using data from 1982-2010 to show that actively managed funds such as Berkshire had a 99% correlation to the market the theory suggests that it is a zero-sum game implying that gains somewhere are more often offset by equal losses elsewhere before factoring for expenses and fees. Over the past five years, the performance has only been average suggesting even Berkshire stock is not free from EMH. On the other hand, profits from non-insurance businesses have been playing a larger role for Berkshire as the company made massive investments in BNSF railroad. Perhaps the biggest challenge regarding this investment was the requirement for regular upgrades and maintenance that exacerbates the costs. Ever since becoming the majority shareholder of Heinz, the shares of Kraft Heinz, a merger of H.J. Heinz and Kraft Foods, climbed more than 7% since July 2015. The operating profit was stable through the first nine months of 2015 because of increased profits from the company’s manufacturing businesses and electric utilities. Berkshire’s lucrative businesses have made analysts value the future stock price at $267,000 for a Class A share and $178 for a Class B share i.e. a 77% premium over the book value. They also predict the intrinsic value rising to $194 per B share that implies 6% annual growth in the business and cash build. The certainty of this happening over the next 12 months may be shaky but longer the timeframe of the investment horizon, better the odds.